The Chorale du Peuple reappropriates pop songs by adding lyrics that are critical of capitalism and the neoliberal agenda. 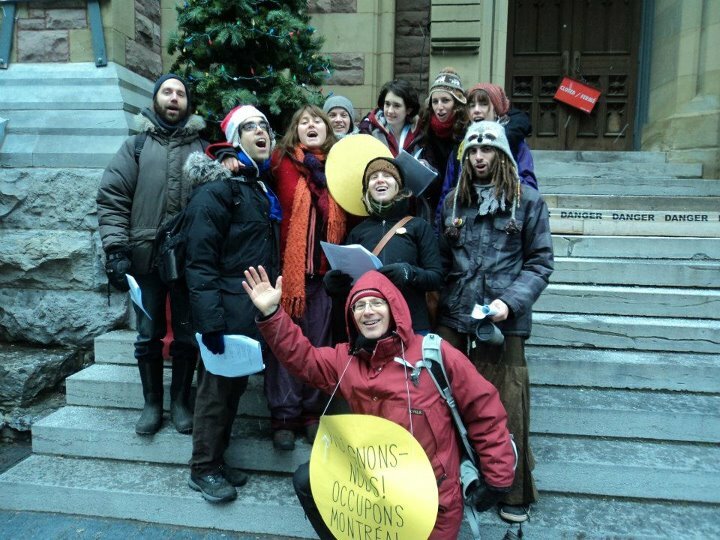 The choir is an offshoot of the Occupy Montreal movement. Mr Parker Quebec is a 4 piece band that grooves in Portuguese, English and French. Its purpose? Mobilize the 99% with some politically conscious tunes.